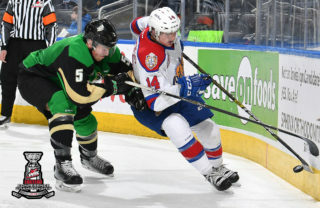 Prince Albert, SK – The Prince Albert Raiders (8-29-1-2) dropped a back-and-forth 6-5 game in a shootout on Tuesday evening to the Moose Jaw Warriors at the Art Hauser Centre. 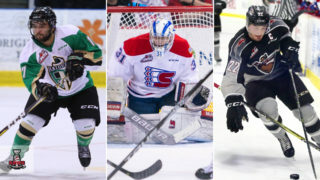 Jayden Halbgewachs and Nikita Popugaev scored in the shootout for the Warriors, while new Raider Curtis Miske and Carson Miller were stopped. The Warriors got a quick goal to open the game when Brayden Burke scored 36 seconds into the contest. The Raiders tied it up three minutes later when Parker Kelly notched his fifth goal of the year. At the 8:46 mark, Burke found the back of the net for the second time in the period to restore Moose Jaw’s one-goal lead. Sean Montgomery and Luke Coleman responded midway through the period, scoring 30 seconds apart to give the Raiders a 3-2 lead after 20 minutes. In the second, Brett Howden and Tanner Jeannot each scored to give the Warriors a 4-3 lead. That lead held until the 9:24 mark of the third period. 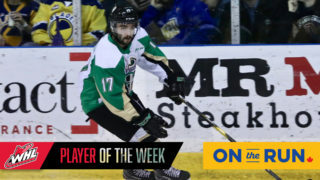 Miske, approximately two-and-a-half hours after arriving in Prince Albert, tied the game with his first as a Raider and sixth of the season. Two minutes later, Burke completed his hat trick to give the Warriors the lead again. 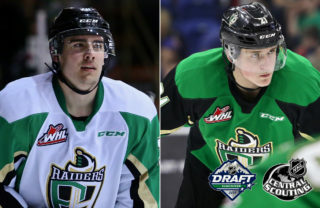 The Raiders wouldn’t go away as Carson Miller beat Zach Sawchenko after a couple of whacks at the puck in front of the net, sending the game into overtime. In the extra period, the Raiders were awarded a power play, but were unable to solve Sawchenko to end the game. That set the state for Halbgewachs and Popugaev in the shootout. This was the Raiders second shootout of the season. The only other shootout came against the Warriors in Moose Jaw. Nicholas Sanders got the start for the Raiders, stopping 32 saves in a losing effort. Sawchenko made 31 saves to pick up the win. 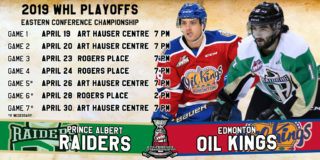 The Raiders return to the ice on Friday night when they host the Tri-City Americans at the Art Hauser Centre. 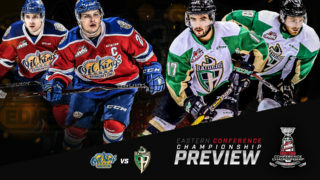 Puck drop is 7 p.m. Tickets are available here, the Raider Office or by calling 306-764-5348.